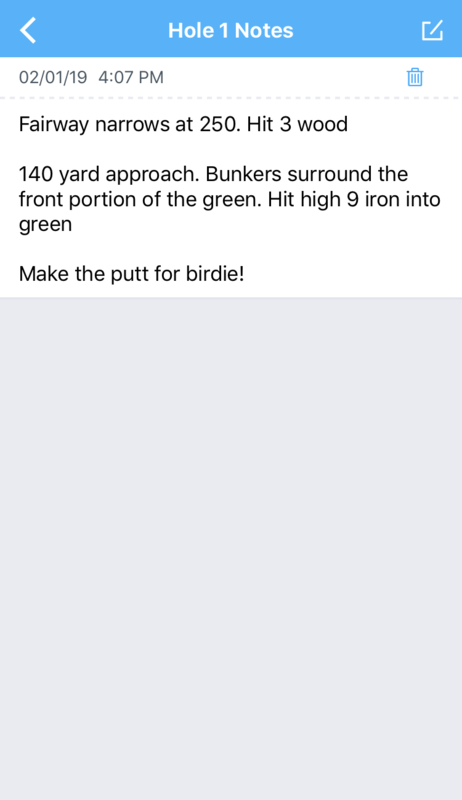 18Birdies is a great tool for scoring your round & stats, utilizing the GPS, playing side games, and even winning awesome prizes that are hard to find anywhere else. One of the most creative uses for the app that we have discovered is the power of planning your next round. Powered by Google Maps, we've verified GPS measurements for over 35,000 courses around the world ensuring you have the most accurate mobile GPS rangefinder on the market. With this information, you now have the power to set up a gameplan for your next round. Before your next round of golf, we want you to start thinking and planning about your strategy for the next time you get out to play. The first thing you will need to do is determine the course you are playing. From there, we want you to start a new round. Tap Select Another Course on the ‘Regular Round’ card. Enter the course name in the search bar near the top of your screen. Once you have selected your course, you will be taken to the Round Settings page. From here, you should adjust the Round Settings to the details that most closely match the actual round details that will apply during your actual, upcoming round. Adjust your Round Settings based on Round Type, Starting Hole, Tees, Strokes Gained and Targets. Once you have completed your Round Settings, tap Play on the bottom of the screen to open the Scoring and GPS page. For most golfers, trouble starts where the hole starts - the tee. 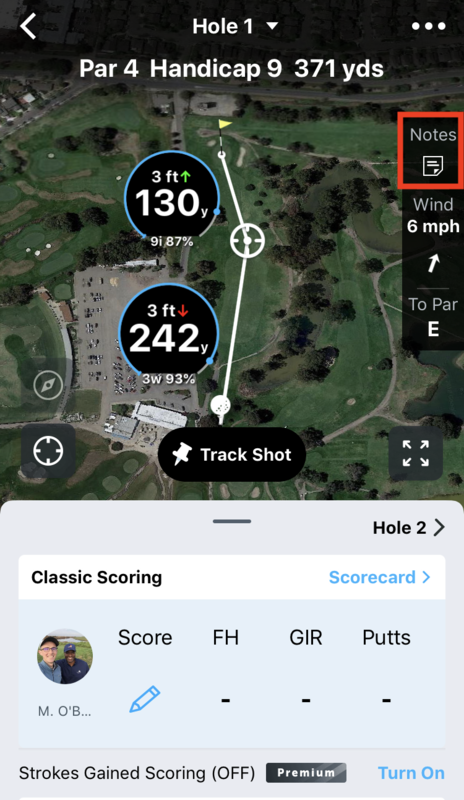 It is nearly impossible to shoot a low round if you do not put yourself in a good position from the tee, so the best first step is to utilize the GPS screen to get an idea of where you will be teeing off from and where the suggested target is for the tee shot. From the GPS screen, you will see distances from your location to literally any point on the course. Move the white target circle to see the distance to the dogleg or how far it is to carry the water hazard. How many shots do you want to take to get to the green? Are you going for the green on a short par 4? Or are you playing it safe? Are you trying to cut the corner on a long par 5? Generally, you want to try to make a shot off the tee that will increase your chances of putting the ball in the fairway. On shorter holes (less than 400 yds), this usually means playing to the widest part of the fairway, or to an area of the fairway that keeps you out of hazards (bunkers, rough, water, etc). When you have an idea of how you want to play the hole, tap Notes to add your gameplan. While hitting fairways is extremely important for starting your round, hitting the green on your second shot, a green in regulation, is essential if you want to keep your score low. Once you have determined how you want to play off the tee, you will then want to plan for your approach. We are going to assume that, being the outstanding golfer that you are, you regularly smack your tee shot right down the middle of fairway each time. Am I more successful with a gap wedge (52 - 56 degrees) or a short iron (PW, 9, 8 iron)? Are there hazards in front or around the green that need to be taken into account? Is the green big enough to plan for the ball to roll out or does the ball need to stop as soon as it hits the green? Now that you have stuck your approach shot on the green, all that is left is to sink the birdie putt!